When it comes to weight loss it’s not about how fast you can the lose weight, but how long you can maintain that weight loss that really matters. You see we don’t have a weight loss problem in our society, we have a weight maintenance problem. I was giving a lunch and learn talk explaining this concept of weight maintenance to a group of thirty engineers at a firm. To show the engineers what I mean we did a short exercise. I asked the audience of thirty to raise their hands if they’d ever lost fifteen pounds or moew in their life. “3 months” a good amount of hand went down. “6 months” more than half the rooms hands drop. “24 months” one of the hands drops. Out of the thirty people in that audience every single one of them had lost at least fifteen pounds in their life. Out of those thirty people only one person was able to maintain that weight loss for two years or more. This is why it’s not about how fast you can lose the weight, but how long you can maintain it. Your ability to maintain that weight loss comes down to your habits, and forming them into a lifestyle that doesn’t overwhelm you. The right habits will allow you to lose weight, keep it off for good and not feel overwhelmed , and those habits are what this blog is going to show you. You need to eat your veggies, not just for basic health purposes but because they’re also great for weight loss. Vegetables are rich in fiber and and water both of which make you feel fuller for longer, and contain a ton of micronutrients. They’re also a great high volume food meaning they take up a lot of room in your stomach but don’t contain many calories. When it comes to foods that are a calorie bang for your buck vegetables sit atop the list from a fat loss and health perspective. I understand that a few extra walks with the dog doesn’t leave you drenched in sweat and gasping for air like a good HIIT session does. However this doesn’t mean that walking isn’t an effective weight loss tool though, because it absolutely can be. Non Exercise Activity Thermogenesis also known as NEAT is a specific component of your metabolism that’s responsible for your non exercise calorie burn and burn far more calories than its given credit for. One of the most effective and low stress ways to boost your NEAT is to incorporate more walking into your daily routine. 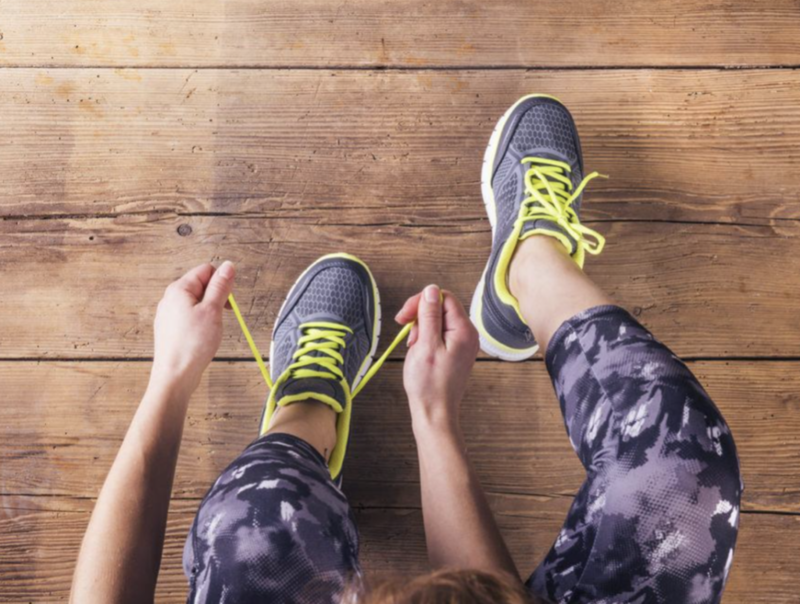 Whether it’s walking on breaks, parking further away at the grocery store or batching all your calls together and walking while you talk there’s a ton of great ways to increase your daily steps. Walking was the tool I used to break a fat loss plateau and help a client of mine Scott, lose sixty two pounds for his wedding. Scott’s was a client of mine I met at the boxing gym we both trained at. He mentioned a few times that he had a wedding later in the year and wanted to lose some weight for it. When Scott and I met for the first time to start our coaching he explained that he wanted to lose sixty pounds for his wedding later that year. I was honest with Scott about what it would take to achieve that, and he was on board. There were a lot of texts, emails and calls exchanged going through this process of helping him to drop the weight for his wedding. We were about two months out from the wedding when Scott had a weight stall and nothing budged in the slightest for three weeks in a row. When going through his folder I realized he didn’t get a lot of activity outside the gym each day and there was a card we hadn’t played yet. We kept everything the same, but I had Scott do a 30-45 minute walk in the morning, and then at night as well sometimes. Two weeks after he started walking everyday Scott was back on track losing weight weekly. He couldn’t believe that something as simple as walking was what did the trick. This is what I love about getting people to simply move more and incorporate some walking each day. The return on investment can be massive when you do it consistently, and make it part of your daily routine. No matter what diet you follow, the reason you lose body fat is that you’re burning more calories than you’re eating and drinking. This is known as a calorie deficit, and one of the easiest ways you can mindlessly reduce your calorie intake without sacrificing flavor is to make lower calorie swaps. By making some of these lower calorie swaps you can easily cut out a few hundred calories per day. At the end of a week or month, those few hundred calories everyday with lower calorie swaps will add up significantly! Another benefit of lower calorie swaps is they allow you to still eat foods you enjoy and avoid feeling deprived, but stay on on course towards your goals. Unfortunately there is no lower calorie swap for doughnuts and cake, but I’m always on the lookout! Replace caloric beverages with low or zero cal beverages like Zevia, Kombucha and flavored seltzer water. There’s nothing inherently bad or fattening about carbs when you eat them in the right amount for your needs. They can be a perfectly healthy part of your weight loss plan, but when you’re far less active you’re burning fewer calories during the day. 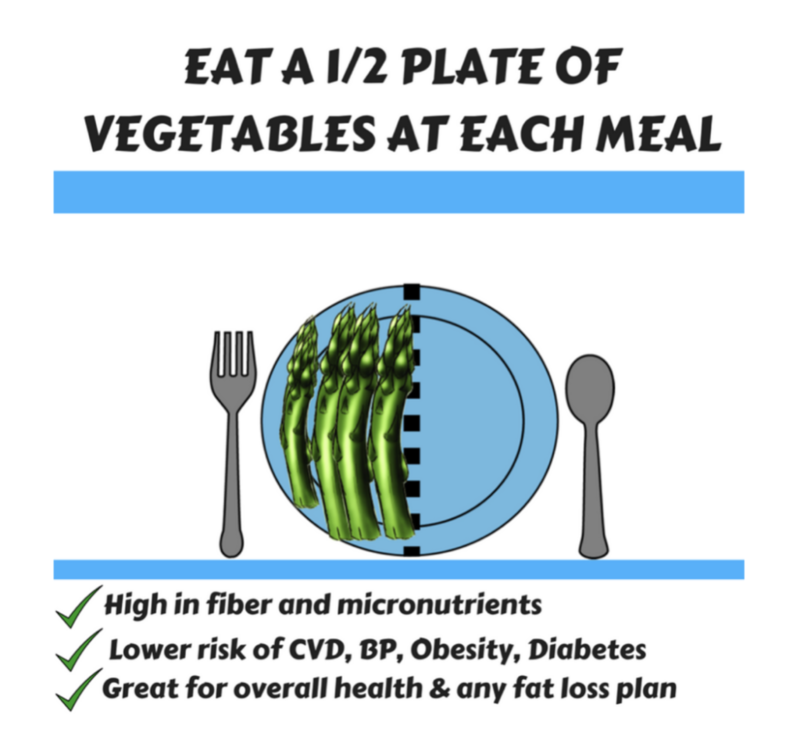 By doubling vegetables, and removing the denser carbs you’ll be able to eat a larger volume of food that’s filled with fiber, micronutrients and some water. This larger volume of vegetables keeps you fuller for longer while keeping calories lower than if you ate the same amount of denser carbs. The majority of your food you eat should be high quality nutritious food with some wiggle room for fun foods too. 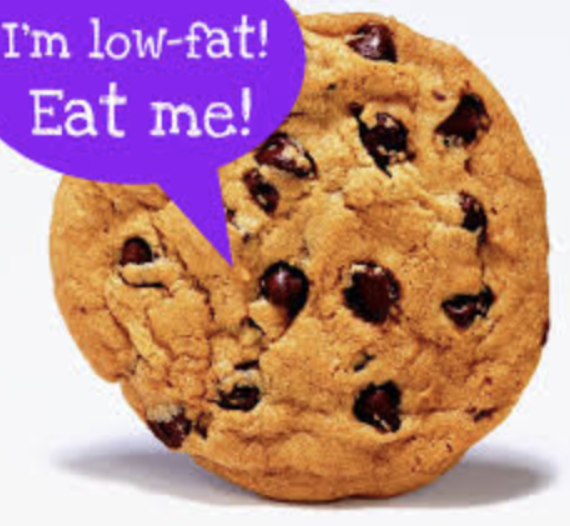 The “health halo effect” is when someone believes a food to be healthy they’ll allow themselves to eat more of that food because they think it’s good for them. You need to keep in mind that just because something is “healthy” doesn’t mean it’s always going to be great for fat loss.. Regardless of how healthy your foods choices are the calories still count, and for many people they assume because they’re eating healthy they don’t need to be aware of the calories coming from those foods. You don’t need to get neurotic about things but just look at the calorie content and serving size of the common foods you eat so you’re aware of the amount of calories and portion sizes. Many of you sit down at meals and eat so fast you would think it was a race, and the grand prize for winning month after month is a growing waistline. When you eat quickly it’s no surprise that you’d end up overeating and feel excessively full afterwards. During eating the gut has to signal satiety and fullness to the brain, and by eating too quickly you shortcut that system and eat far more than you need before the brain turns off the hunger signal. It takes about fifteen to twenty minutes for the stomach to signal satiety in the brain, but you’ll rarely find people that spend that much time at the dinner table, let alone eating. By taking the time to relax, slow down and adequately chew your food it allows for your gut to communicate to the brain, and tell you to push the plate away. Another less appreciated benefit of slowing down your eating is better digestive function. By adequately chewing your food it helps with the mechanical and chemical breakdown of foods. 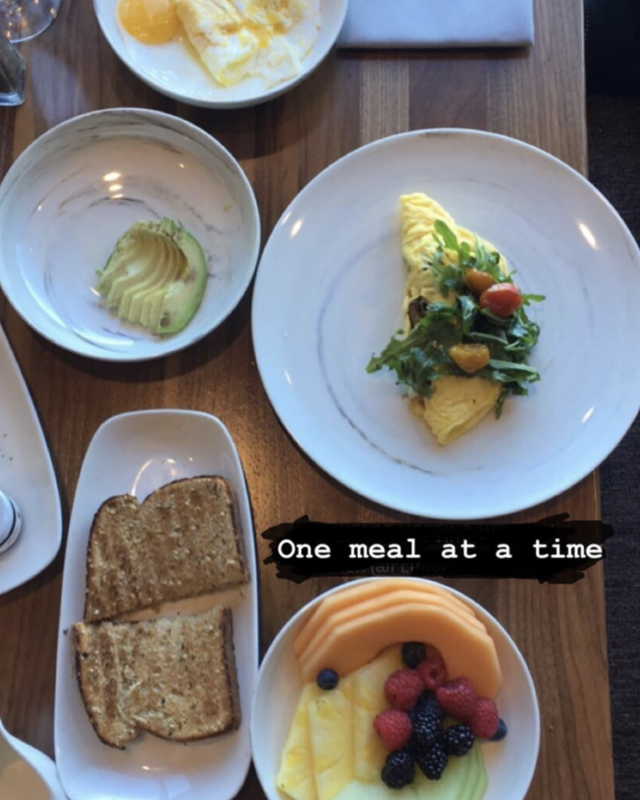 An easy way to slow down your eating is to put your fork down in between bites at each meal and snacks. The fork down habit is a really simple, yet effective and natural way to take a little longer to eat meals, improve digestion and allow you to stop eating when you’re full, not stuffed. When you incorporate the habits from this blog one to two at a time, and really work on making them a natural part of your routine and lifestyle I can guarantee you’ll lose weight. Not only will you lose weight, but you’ll be able to achieve that weight loss in a very sustainable fashion while avoiding all the overwhelm and frustration other crash dieters go through year after year. The habits you choose to adopt will dictate how long you keep the results you get, and when it comes to weight loss using a simple approach that doesn’t leave you overwhelmed is the best route to go. If you’re interested in a nutrition strategy session with our Precision Nutrition certified coaches, where you’ll sit down and go over a success blueprint that works for you, click on the link below to schedule your free session. There’s no strings attached, we create clarity and a path for you while adding a lot of value. Many people choose to become clients by helping them implement the blueprint. Schedule your strategy session HERE. This entry was posted in Nutrition Corner. Bookmark the permalink.